Applied Technology Institute (ATI courses) offers a variety of courses on satellite & aerospace engineering. China’s first lunar robotic vehicle showed signs of a mechanical control abnormality over the weekend, according to the Chinese news agency Xinhua, and scientists are now trying to organize repairs. The rover, Jade Rabbit, reached the moon last month, the first soft landing on the lunar surface since 1976. 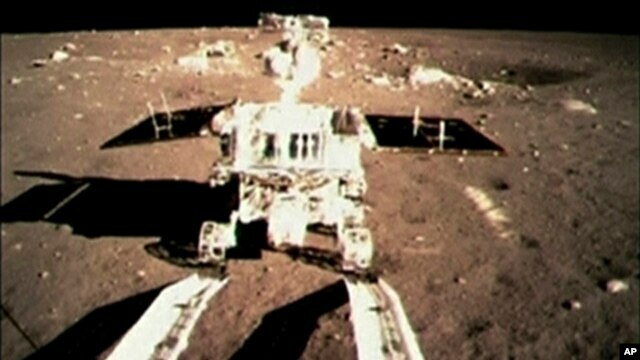 According to the Chinese State Administration of Science, Technology and Industry for National Defense, the malfunction was due to the “complicated lunar surface environment.” The administration gave no other details. Jade Rabbit and its lander draw power from onboard solar cells that charge their batteries. During the frigid lunar night, which lasts about 14 Earth days, there is no sunlight to provide power, so both parts of the probe go into sleep mode. The abnormality occurred before the rover’s second scheduled dormancy, on Saturday. The lander also went dormant on Friday. The rover and the lander have carried out several observations and tests. The mission is planned to last three months.